1.Fun new Toy that's got a million and one different uses!Throw farther than a paper airplane, faster than a frisbee! 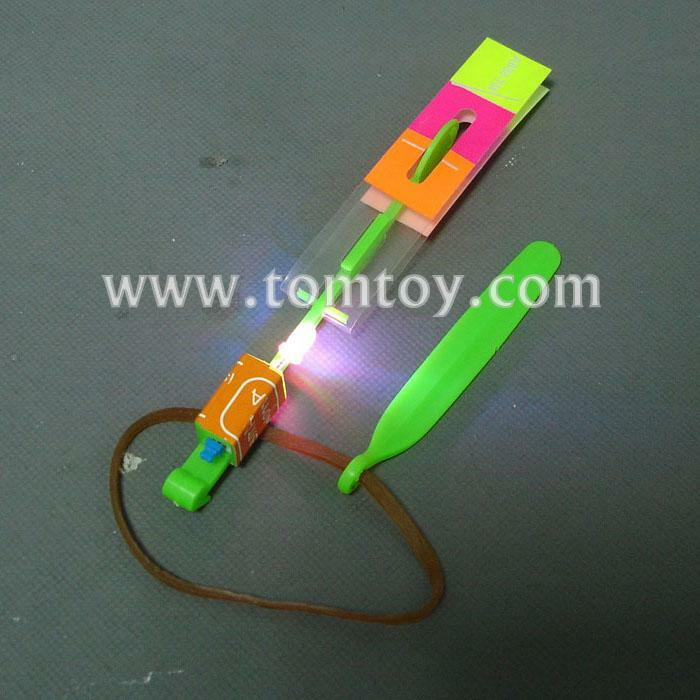 2.Launch the helicopter into the air with the rubber band, watch it fire into the sky lit up by its LED light. 3.When the helicopter Reaches maximum height its blades open and it drops to earth again while spinning very fast. 4.Best used at night so that you can see its light working. 5.They can go up to 100 - 160 feet into the sky.